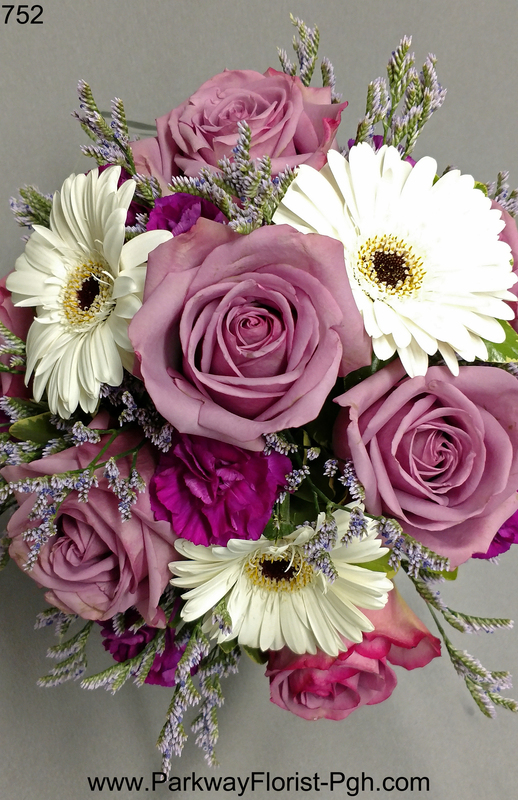 Our bride carried a bouquet of many shades of purple. 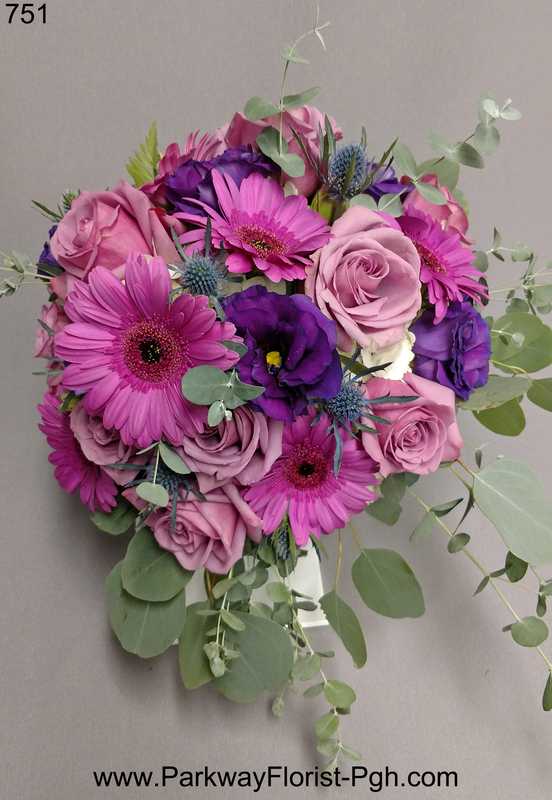 Gerber daisies, lisianthus, lavender roses, thistle, and eucalyptus made for a perfectly garden inspired bouquet. 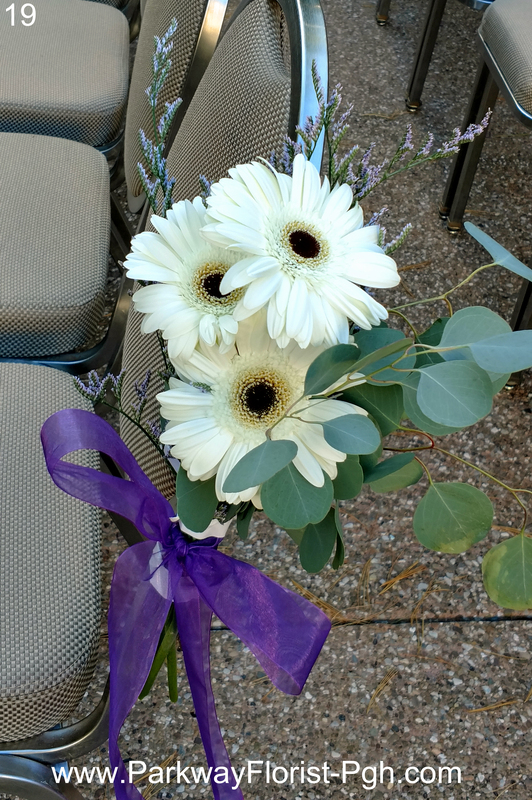 Her bridesmaids also carried smaller and more simple bouquets comprised of white Gerber daisies, lavender roses, mini carnations, and limonium for a touch of light purple. The bride and groom, both passionate car people & racers, provided their own centerpiece containers made from license plates and formed into boxes . 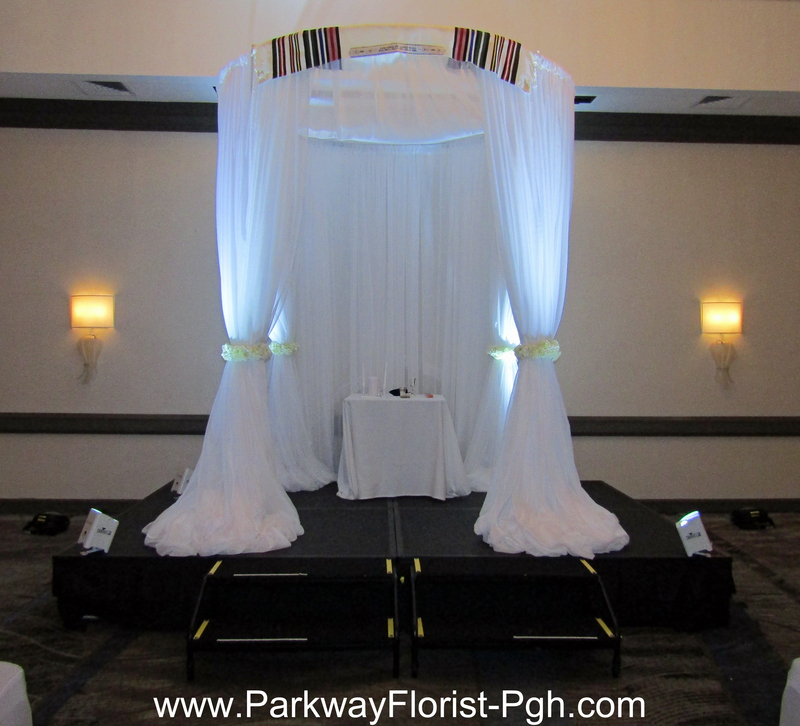 The plates were selected to represent all of the states from which their guests would travel to celebrate this wonderful wedding event. 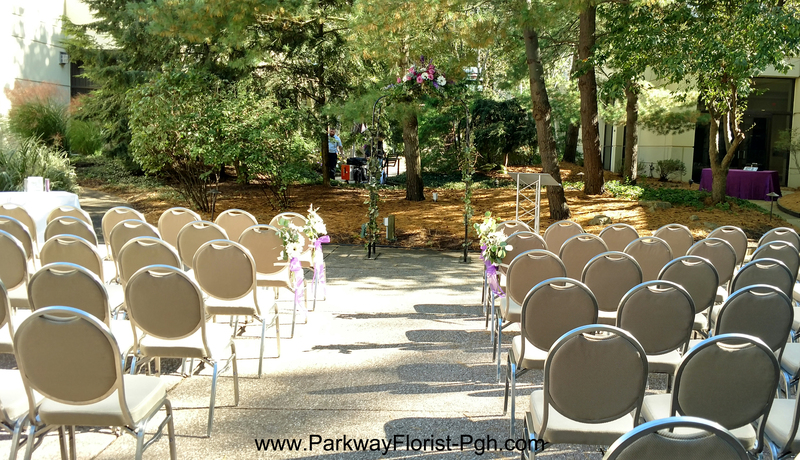 The final product perfectly married the industrial look of their passion (cars) with the garden feel of their wedding decor. 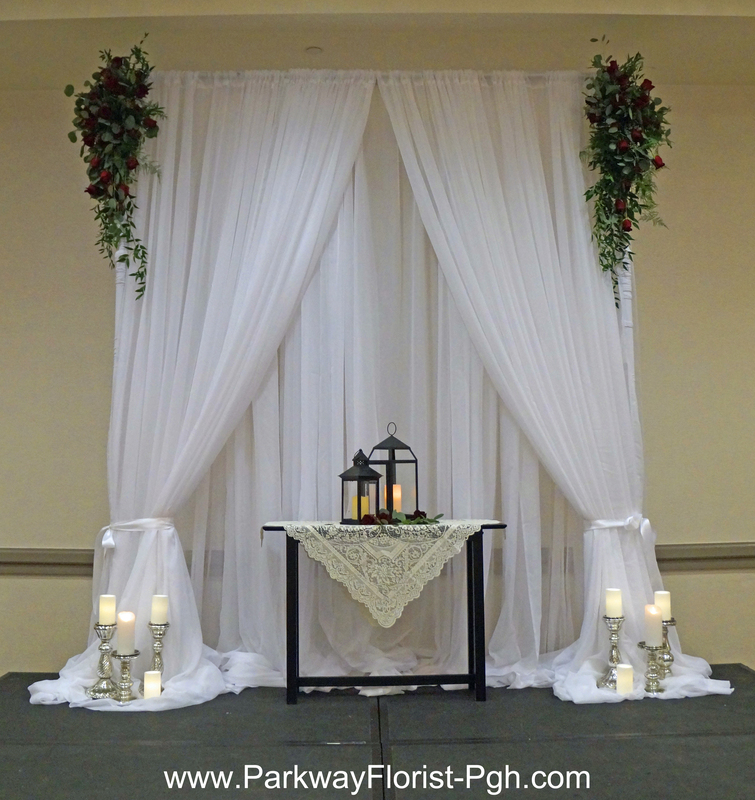 Additional car & racing decor was featured through-out the reception areas. 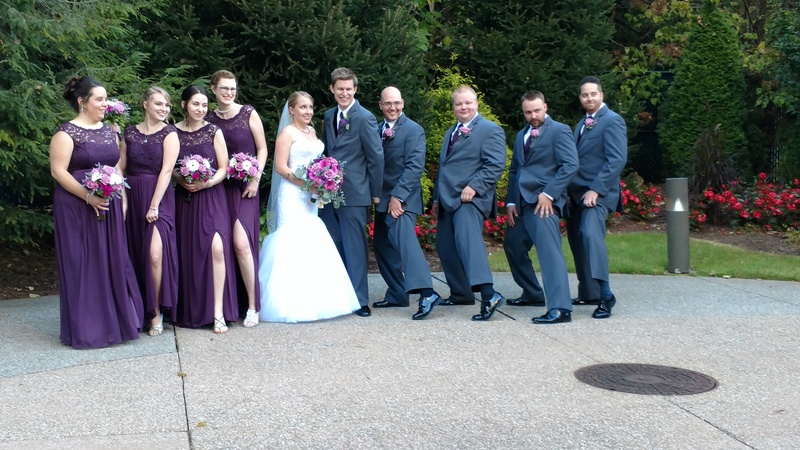 The bridal party was fun and excited, and the bride and groom were obviously in love, the makings for a perfect wedding day. 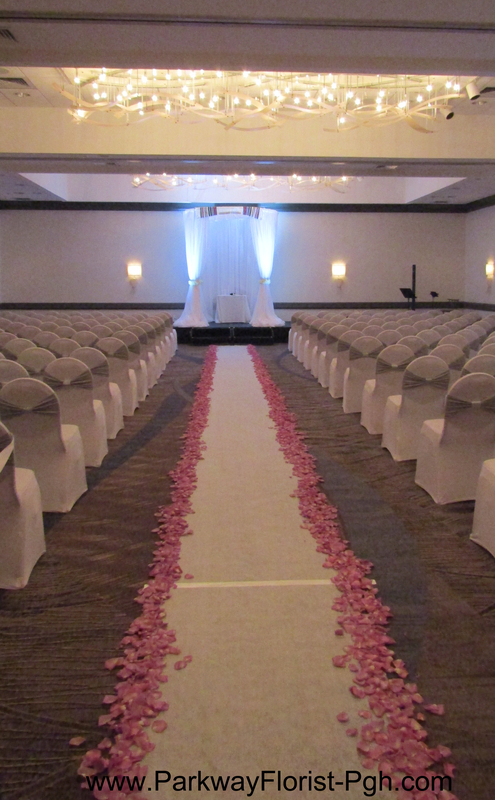 We are so happy we could help this couple bring their dream to life. 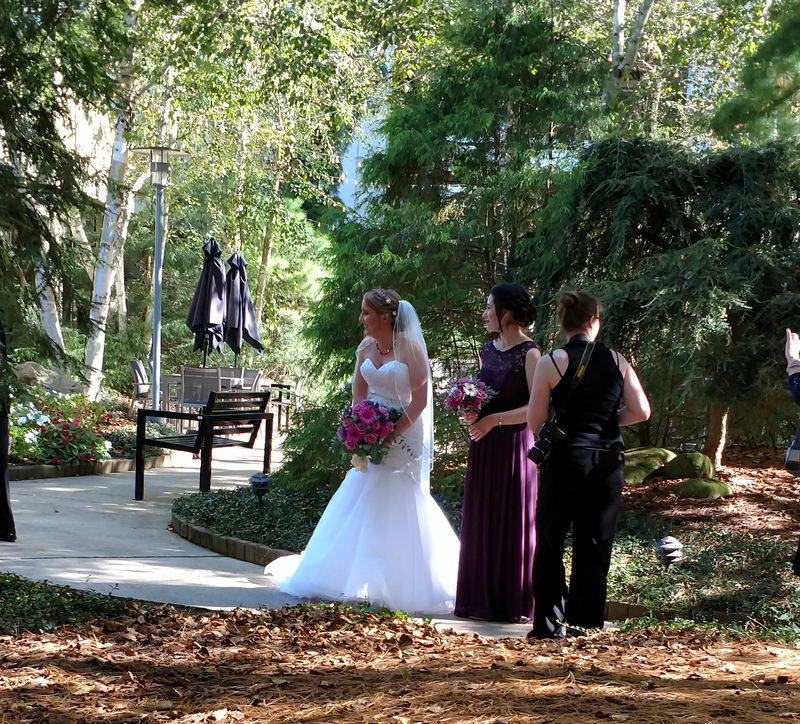 Our very Best Wishes to Allyson & Cory! Thanks for providing a great challenge to us. 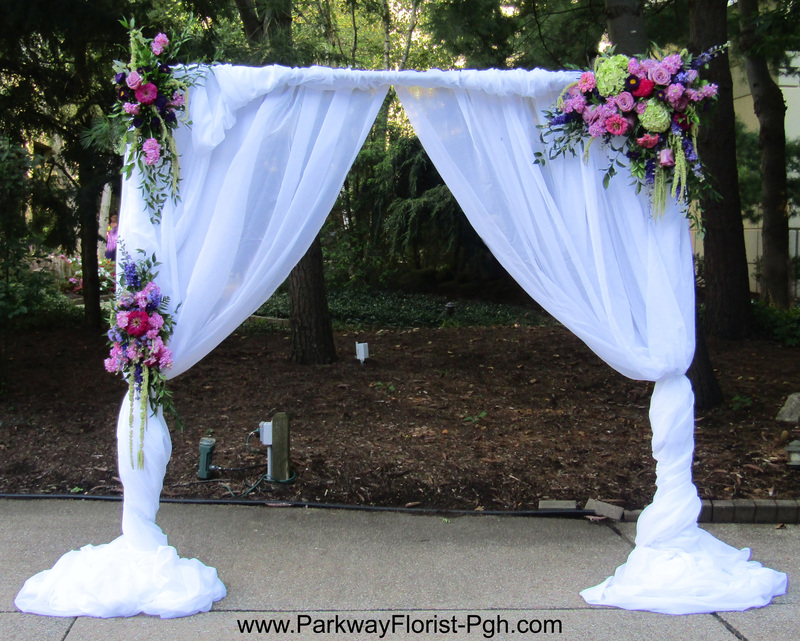 This entry was posted on October 11, 2017, in Weddings - 2017 and tagged Garden Wedding, License Plate Wedding, License Plates, pittsburgh wedding florist, pittsburgh wedding flowers, pittsburgh weddings, purple wedding flowers, Unique Wedding Centerpieces, Unique Wedding Flowers, Unique Weddings, wedding ceremony.